September is Hunger Action Month, a time when people across the world take stands against hunger in tangible ways! No one should have to go hungry, and Hunger Action Month reminds us that there are those out there who need the help of a kind people with open hands because there are more than enough resources in the world for us all to eat well. Isn’t it time we all take action for the hungry in our community and our world? 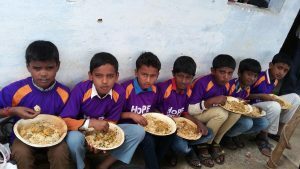 For one, sponsor a HoPE Center child (for only $10 a month) or an entire HoPE Learning Center (for $400 a month)! 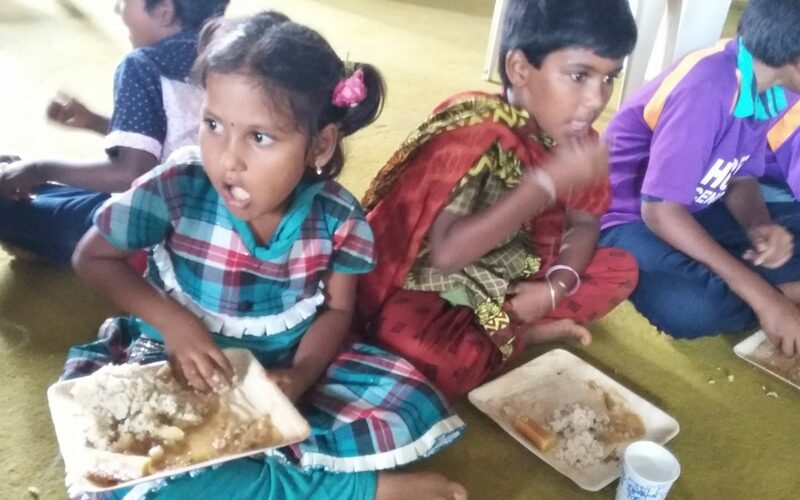 Your generous contribution will not only provide academic tutoring, PI lessons, physical activities and career-oriented events, but it will also ensure that each child receives a nutritious daily mini meal. This is often more food than a child receives during the rest of his/ her days. 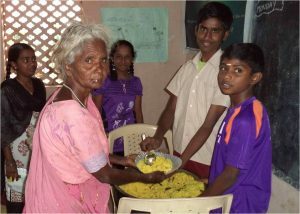 Another option is to sponsor a poor elderly person in India for $30 per month. 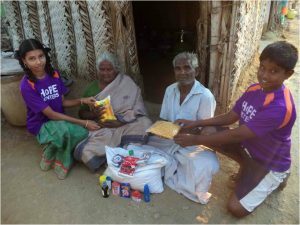 For this amount, each destitute elder receives monthly groceries (Including rice, Toor dal, sunflower oil, chili powder, pepper, cumin seeds, mustard, pickle bottle, bath soap, washing soap, shampoo, tooth powder, coconut oil, cough syrup, and pain relieving gel). More importantly, they know that they are cared about and not completely forsaken by humanity. Or, make a one-time heartfelt contribution to our Million Meals of HoPE program. We are now able to serve 9 mini meals for every dollar donated. If you are short on money, you can volunteer at a local food bank or share this call to action on your Facebook and Twitter pages to encourage your friends to reach out and feed at least one other human being as an act of rebellion against hunger!